I know, I know, I went missing for a while. What can I say? 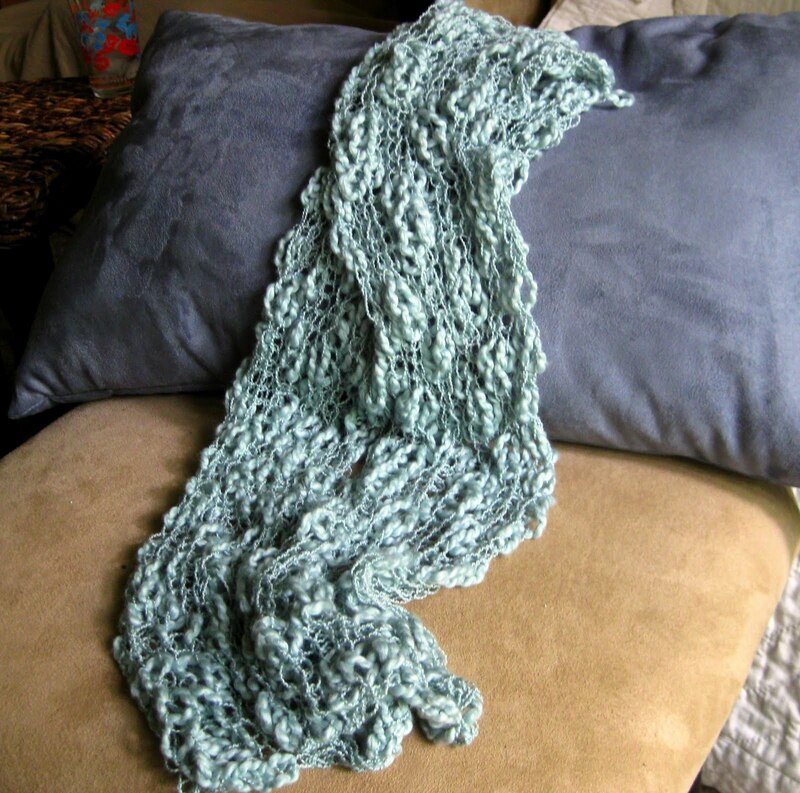 I lost my knitting mojo and my blogging mojo simultaneously. Had to set them both aside for a while and get recharged. I think my batteries are still low, so it might take a while before I am fully back in the swing of things. Last weekend was the local yarn shop hop, which helped inspire me to pick up the needles again. Each store offered a one-ball pattern for free if you buy the ball of yarn at a discounted price. Easy patterns are the only thing I'm in the mood for these days, so I picked up four or five balls/patterns from a bunch of different stores. 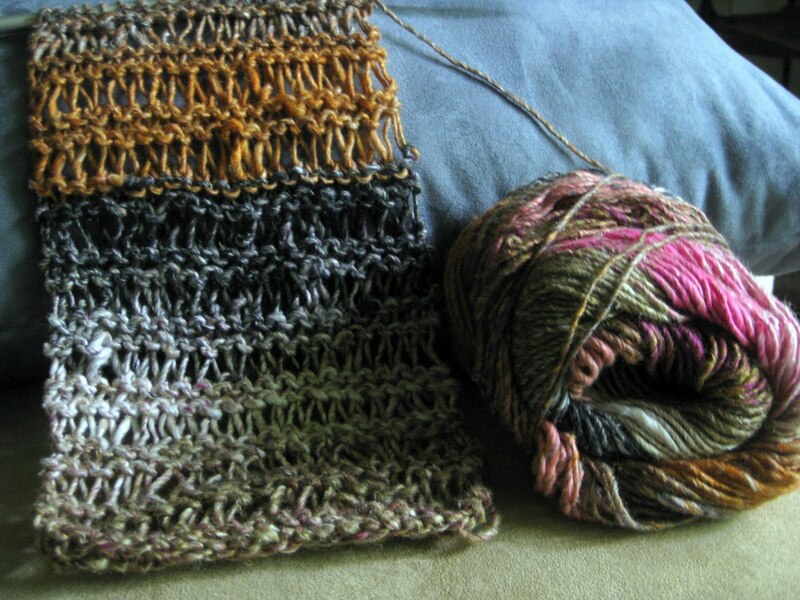 Right now I am working on this simple drop stitch scarf made with some sort of Noro yarn (the name escapes me right now, but it is not Kuryeon). If there are any local yarn shop owners reading this, I have a few suggestions for next year. When people drive two hours to patronize your store, you really ought to let them use the restroom. And if you are going to promote a very special ball of yarn and hope that lots and lots of people buy it, I recommend that the blend not include possum. Seriously. Ick. Not too much else going on around here. I'm not an aunt yet, but it won't be long now. I'm getting crazy numbers of finches and chickadees at my feeders these days and having trouble pulling myself away from watching them. I know things are seriously off balance because I have more bird seed in my pantry than people food. But they are endlessly entertaining, and I'm starting to see fluffy baby birds, so it's all good.